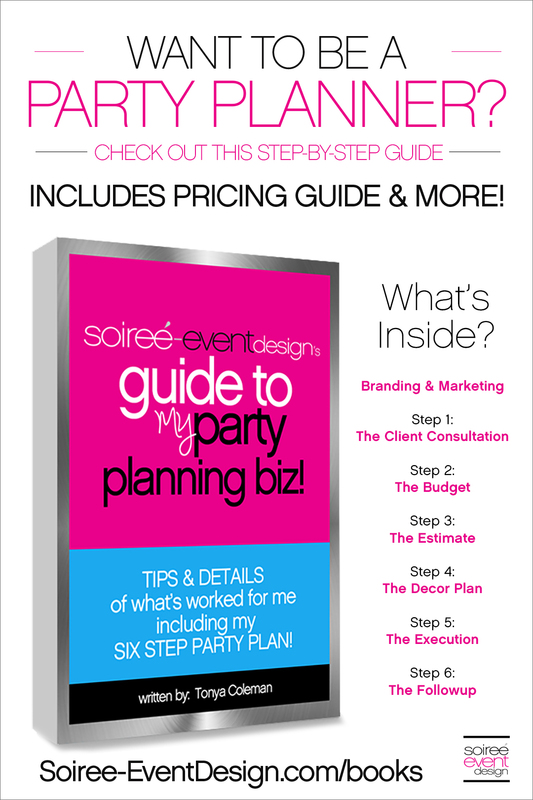 ARE YOU A PARTY PLANNER AND NEED AN AMAZING PARTY PLANNING ORGANIZER FOR YOUR BUSINESS? THIS is the tool I needed, but couldn’t find anywhere! So, I created this Party Planning Organizer to help me and now other party planners, like you, stay organized and focused on your business. It’s a MUST-HAVE tool. 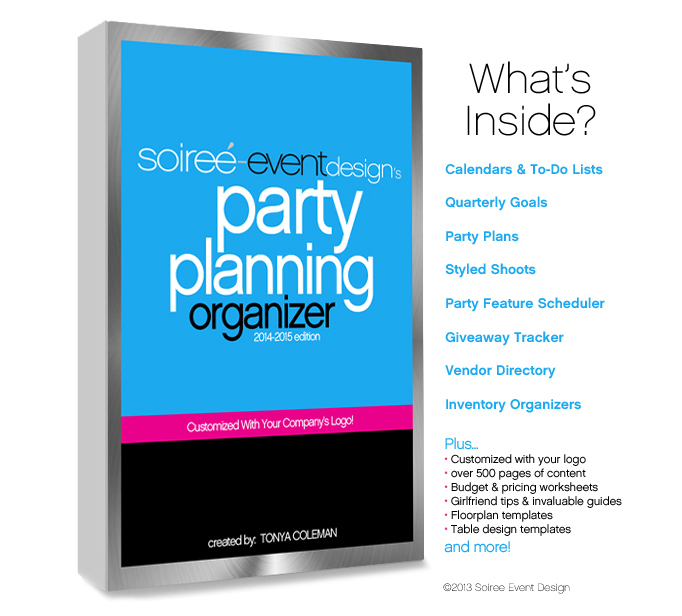 Finally a planner created BY a party planner FOR party planners! This is the one tool I use to keep myself organized and a way to keep everything all in one place. Gone are all those pieces of random papers and sticky notes. NOW I have everything in this one binder with all my important information in one place…Just grab my binder and off I go! THIS IS A DIGITAL COPY ONLY! NO PHYSICAL ITEMS WILL BE SENT. You will receive a PDF file of the planner that you will have printed yourself within 3 business days of placing your order. Keep track of goals you want to achieve on a quarterly basis. Each party has it’s own set of planning sheets including a party plan, vendor list, budget & pricing worksheets, floorplan templates and table design templates so we can plan out our table designs. Keep track of where and when you submit your parties for feature and track their success. Ever wonder if those many giveaways you are participating in are actually successful for your bottom line? Now you can use this worksheet to track the success of your giveaways. Tired of rebuying items that you know you already have but have no idea where they are? Well, now you will have all of your inventory organized all in one place so you can see at a glance what you have.